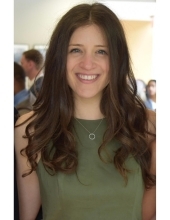 Ariel Cohen is a doctoral student in Modern Jewish History at the University of Virginia, where she works primarily with Dr. James Loeffler. Between 2014 and 2016, she earned two Master's degrees: one in Art History & Archaeology (Columbia University) and one in Modern Jewish Studies (Jewish Theological Seminary of America). She earned her Bachelor of Arts degree in History at the University of Pennsylvania, where she wrote an Art History Honors thesis on European Jewish immigrants to Palestine in the early 20th century. Ariel also has a strong background in curatorial work. While in New York she was the Curatorial Intern of the Abu Dhabi Project at the Guggenheim Museum. While in Philadelphia she was a Humanities Fellow at the Philadelphia Museum of Art, the UPenn History Department intern for the National Museum of American Jewish History, worked at the Pennsylvania Academy of the Fine Arts (PAFA), and researched for an exhibition on Smith Memorial Playground at the Philadelphia History Museum. Her scholarship has been recognized by multiple awards, including the Jewish Theological Seminary Wolfe Kelman and Alexander Kohut Memorial Prize, the Andrew W. Mellon Fellowship in the Humanities, and the Jewish Studies Fellowship at UVA. She is published in the Times of Israel and has five entries in the Encyclopedia of the Bible and its Reception (Visual Arts section). At UVA, Ari's Master's Thesis examined David Ben-Gurion's international politics in the first three decades of the 20th century. But her dissertation falls back on her Art History roots by focusing on the early 20th century collection, donation, and curation of Jewish objects in America. She looks at exhibition spaces such as the Smithsonian, the Jewish Museum, and the Union Museum in Cincinnati (part of the Hebrew Union College).